Most travelers who visit the Caribbean do so with the hopes of finding a beautiful beach to lounge on for the bulk of their stay. But, for those who prefer to be a bit more active during their holiday, the region can also offer some surprisingly great hiking options as well. 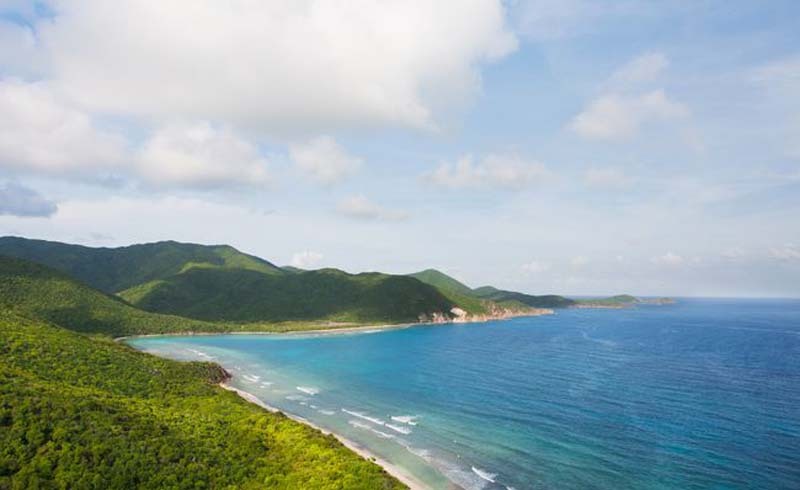 Here are five of our favorites that will help you stretch your legs, take in some fantastic scenery, and explore a side of the Caribbean that you might not have even known existed. 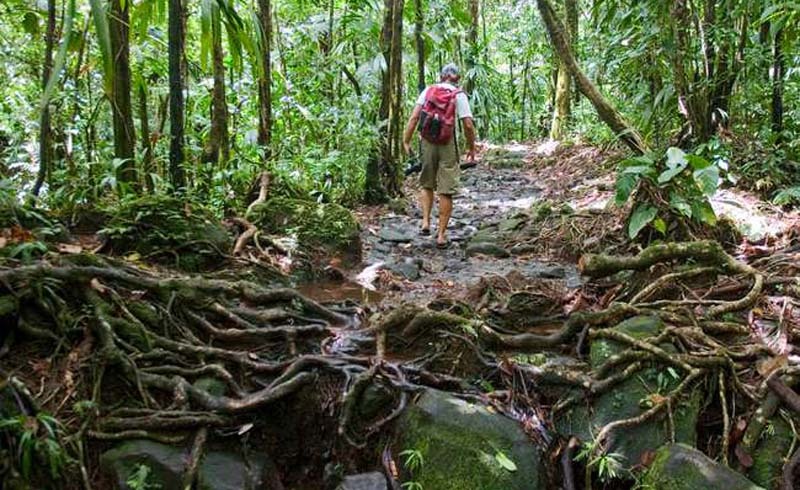 Stretching for nearly 115 miles across the island of Dominica, the Waitukubuli National Trail is easily the best long-distance hike in the entire Caribbean. The route is sectioned off into 14 different segments, each of which has a distinct starting and ending point. This allows hikers to walk any of the individual parts or take on the the entire trail if they are adventurous enough to walk its considerable length end-to-end. The trail passes through a wide variety of environments and terrains along the way, including rural farmland, rainforests, and mountainous regions. Highlights include breathtaking waterfalls, hot springs, caves, and other natural wonders, with the route meandering in and out of local villages from time to time as well. Those small towns make excellent spots for resupply, picking up extra food and fresh water for the trek. 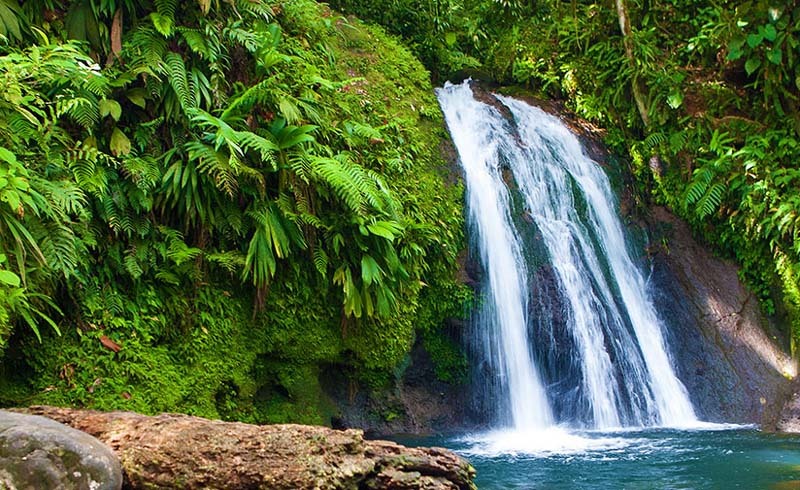 For a hike that starts with a wonderful walk through an enchanted setting, but delivers an even better payoff as it unfolds, try the Guanapo Gorge on the island of Trinidad. 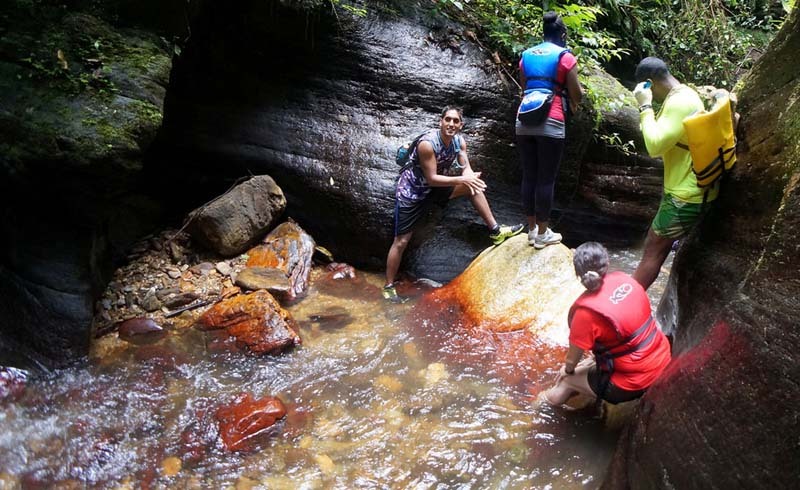 The trek itself takes only a couple of hours to complete, starting with a stroll through the rainforest before entering a steeply walled canyon that has been carved out of solid rock over the passing centuries by the Guanapo River. Once you've hiked into the gorge itself, you'll find yourself walking – and at times swimming – through a series of pools and streams as you make your way up the valley to the very source of the river itself. The cool, refreshing waters provide welcome relief from the often steamy conditions, but this is a hike that is most definitely worth the effort. Just be sure to wear a swimsuit and water shoes, because you're definitely going to need them along the way. Most people don't know it, but more than two-thirds of the island of St. John is actually designated as part of the Virgin Islands National Park. It earned this distinction because of its stellar natural beauty and rich history, which includes civilizations that date back more than 1000 years. The park features more than twenty trails, most of which aren't especially long. But they do spread out across the island in a variety of different directions allowing visitors to explore much of it on foot. Those routes wander through thick rainforests, past pristine beaches, and up and down rolling hills. Along the way, hikers will discover long-abandoned plantations and mills, hidden cabins, and small shacks that once served as slave quarters. A hike here is a bit like walking through history, with some sharp reminders of our past. 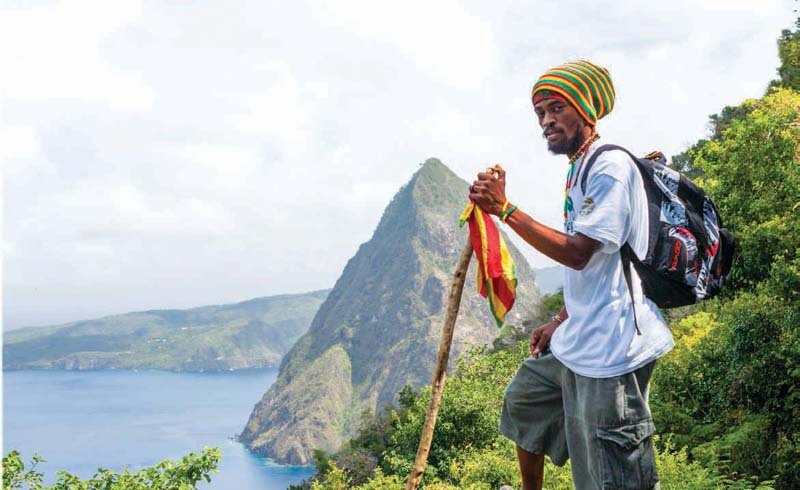 The island of Saint Lucia is home to the twin peaks of Gros Piton and Petit Piton, both of which are accessible by foot to the adventurous traveler. 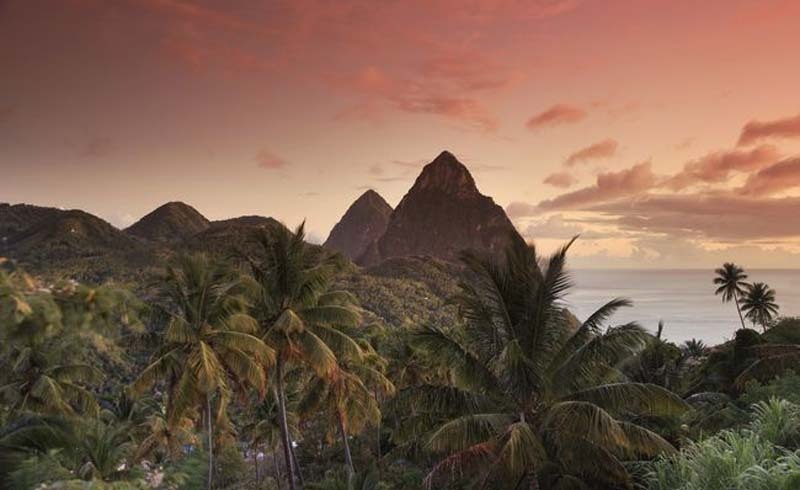 Standing 2,579 feet in height, Gros Piton is the taller — yet easier — of the two peaks to hike. The route takes roughly 4-5 hours to complete, with the trail crossing through rainforests and scrambling over large rocks along the way. During the busiest of times of the year, the summit can get a bit crowded, as it isn't especially big to begin with. But the views from the top are utterly spectacular, making it worth your wait in line to snap that all-important selfie. 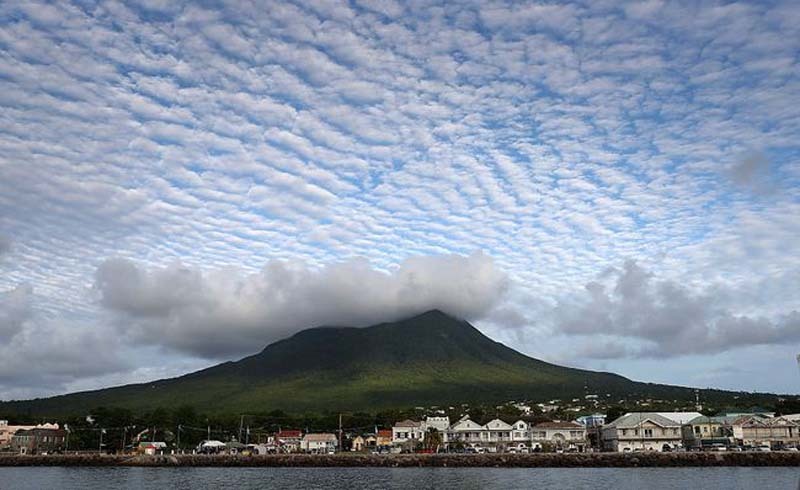 For a truly challenging hike, try the trek to the summit of Nevis Peak on the island of Nevis. At 3,232 feet in height, the mountain isn't particularly high nor is altitude a major concern. But when you consider the fact that the hike begins near sea level, and ends some three hours later at the summit, you start to understand why it is considered amongst the toughest excursions in the entire region. The way to the top sends hikers scrambling over rocks and tree roots from time to time, and requires the occasional ascent using ropes too. But the payoff is a breathtaking view from the summit and a sense of true satisfaction at what you've accomplished.